Waste is an issue for all of us. We all create it and that means we are all responsible for what happens to it. Waste needs to be dealt with in the safest way possible. Even as householders, we have responsibilities for waste. Usually this means putting our waste and recycling out for collection by our local council, or by waste collection services contracted by our local council. Largely as householders, we deal responsibly with waste, so it doesn’t harm the environment, by following the guidance supplied to us by local councils on how to dispose of our waste. Businesses all create waste that needs collecting and taking away for onward disposal, treatment or recycling. This involves a business finding an appropriate waste collection service. Businesses producing waste or managing waste on behalf of others, such as local councils and private collection companies, have a legal Waste Duty of Care. 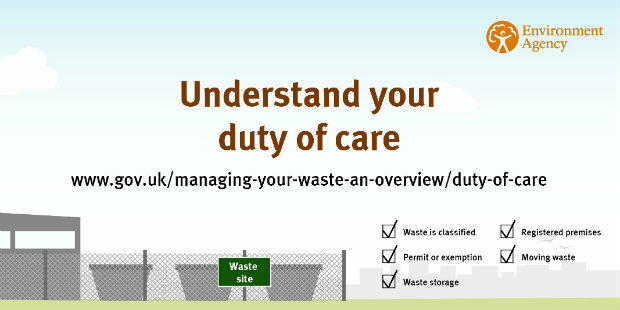 The Waste Duty of Care expects waste producers to be responsible for knowing where they are sending their waste and taking steps to ensure those they contract to collect and manage their waste, are operating legally and are taking their waste to legal disposal, treatment and recycling sites. Waste producers must keep records of who they send their waste to and how much they have sent. The easiest way to record this information is by using waste transfer notes and this can be done electronically using the Electronic Duty of Care system, Edoc. This system ensures waste producers are taking all the necessary steps to be compliant with their legal Waste Duty of Care. The Government has recently produced, and consulted on, a revised Code of Practice to help businesses and public sector services take steps to ensure they are complying with the Waste Duty of Care. It is important to follow the Waste Duty of Care to stop waste entering the hands of illegal waste operators, who commit waste crimes by deliberately not dealing with waste in accordance with the law. 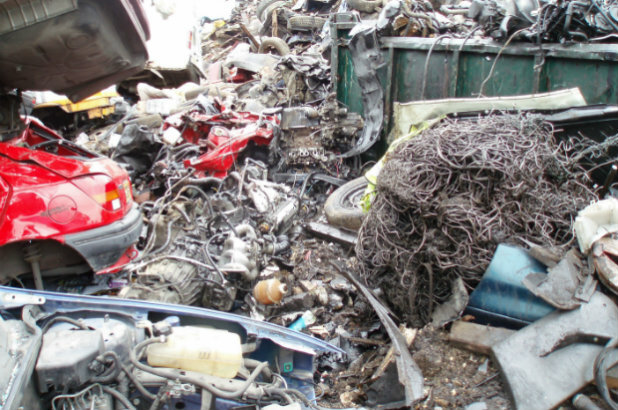 Illegal waste operations include running a waste site without a permit; illegally exporting waste or large scale illegal dumping. If you see or suspect illegal waste operations report it anonymously to Crimestoppers on 0800 555 111 or by visiting their website. Why is household recycling so difficult ? Government should require all councils to standardise on bin collection colours for types of waste to recycle and should then require businesses to colour code packaging with a coloured code so people know which bin to put it in . May take a few years to impliment but at least the public aren't confused . Most people are happy to recycle but it's a bit confusing at moment .